WAIST HIGH: Happy 30th Birthday "Just Can't Get Enough." Happy 30th Birthday "Just Can't Get Enough." 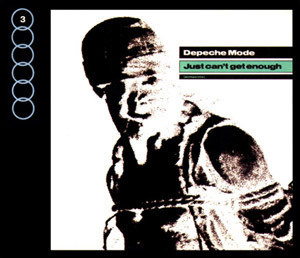 The first Depeche Mode single to be released in the U.S., "Just Can't Get Enough" was released in the U.K. on Sept. 7, 1981 and was the final song Vince Clarke wrote before he left the band. The video for the song was DM's first.